B&D Fingerprinting Services LLC provides inkless fingerprints through digitalized scanning. We electronically submit information to the Nevada Criminal History Repository and the FBI. We can process fingerprints for standard FBI Fingerprint cards (FD-258) as well. We can meet you at your place of work, office, casino, home or at our office on N Rainbow Blvd. We have been approved by the Department of Public Safety for the State of Nevada to offer fingerprinting services for State Criminal and FBI Criminal background checks. We are also approved by several other divisions within the state which are, but not limited to, the Gaming Control Board Enforcement Division, Real Estate Division, Board of Nursing, Contractor's Licensing Board, Private Investigator's Licensing Board, Board of Secondary Education, and many others, to provide fingerprinting services to businesses and individuals. We also provide Personal Background Checks, Child ID Kits, and Passport Photos! B&D Fingerprinting Services, LLC focuses on providing fast, accurate, and quality livescan fingerprinting for our customers. 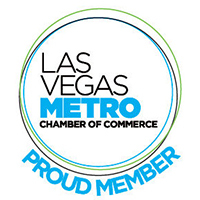 We have been serving the Las Vegas community since 2007. We are dedicated to giving our clients and business associates our best knowledge, experience, our best availability options and welcoming customer service to better accommodate all of their fingerprint processing needs. With our Mobilized Business to Business service, we'll drive to you! Schedule your appointment for your employees anytime by calling (702) 485-5256. We have been approved by the State of Nevada, the Gaming Control Board Enforcement Division, as well as many other Nevada State Division Boards to provide fingerprinting services to businesses and individuals. Copyright © 2007 - 2018 B&D Fingerprintg Services LLC. All rights reserved.